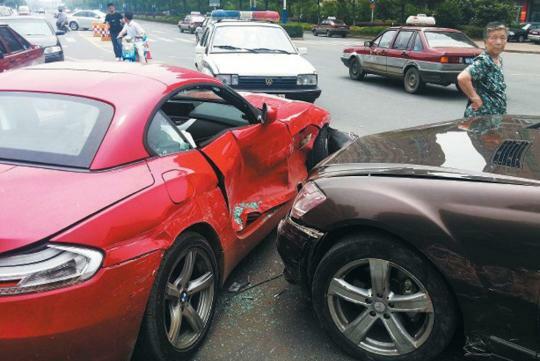 > Angry Chinese father crashes into his son's Z4 in an S-Class! For boys, it's only natural that they play bumper cars with their father at some point in their lives. Well, there's nothing to worry about if it's just a game, however it isn't the case in the video below. The Chinese father in the video wasn't playing bumper cars with his son at all. 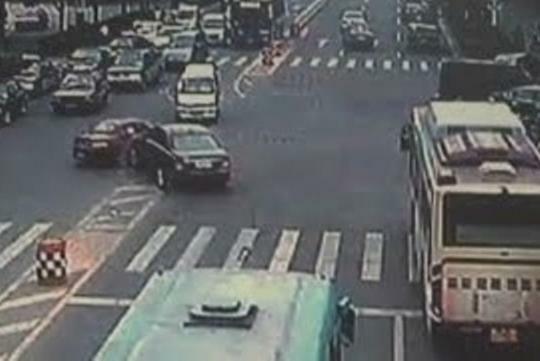 Instead, he was really crashing into his son's BMW Z4 in his Mercedes-Benz S-Class! It's pretty obvious that the father must have been really mad at his son there. You see, even after the crash, he went on chasing his son, this time on foot! However, it seems that age really does matter. As his son was way younger than him, there was no doubt that the young man was way more capable of going from "0 to 100 km/h" on foot than his father was. Yet, no matter how fast any of them could run, it didn't take long for the local police to take both into custody. This seemingly one-of-a-kind incident took place in Ma'anshan City, Anhui, China, and it was said that the incident was triggered by family problems between the old man and his son. Now, besides hefty repair bills, both men are likely to face penalties as well, due to their reckless driving on a public road. So, next time if you're about to argue with your old man, I suggest that you think again as things would have been better if one of those men in the video tried to give in to the other.